Our time is so precious and there's simply never enough of it! So, how do we get a hold of it? 1.) 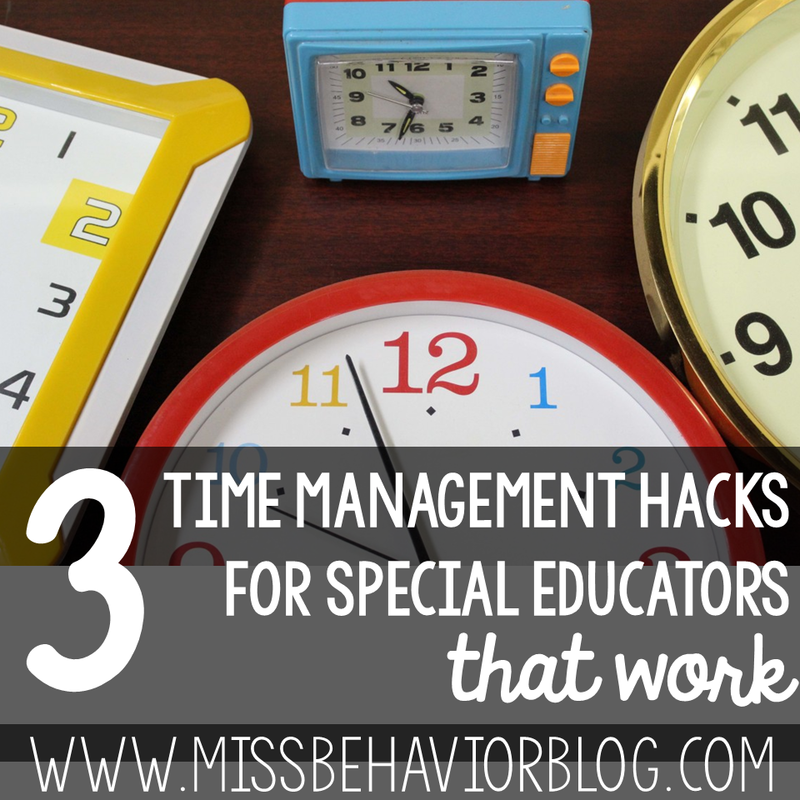 Determine where your time is being spent. Have you ever read the book 7 Habits of Highly Effective People? While I am personally not one to consistently dive into the "self-help" genre, this book is essential for anyone and everyone. Stephen Covey lays out some really important habits that those who are truly effective embody. One of my greatest takeaways was his Time Management Grid. 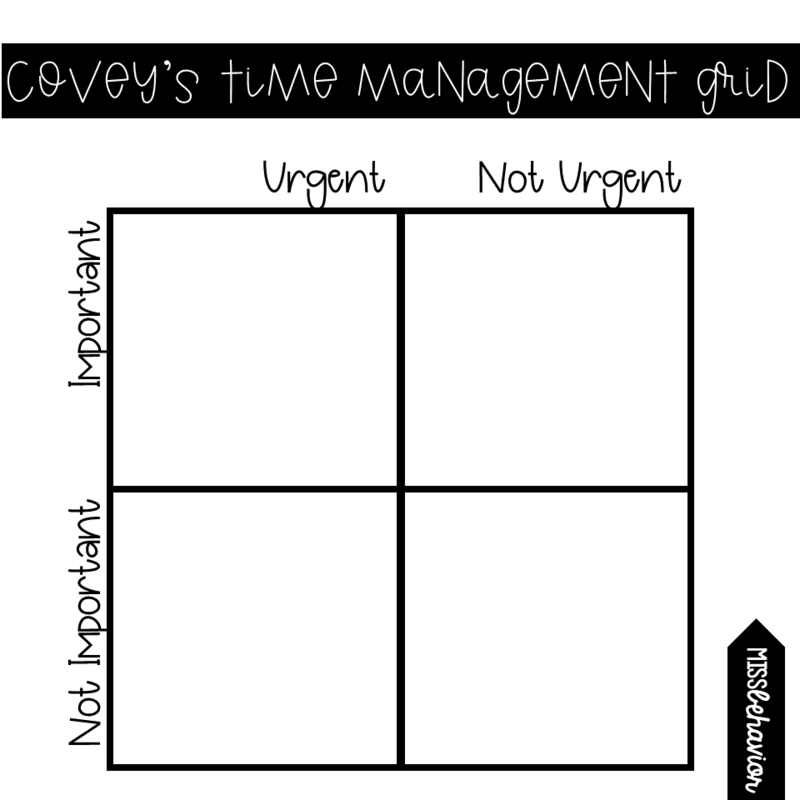 What in your day fits into each of the 4 quadrants? Where are you spending the bulk of your time? I created a grid for special educators to show the generic overall events and expectations in our field, and where they might fit into the time management grid. Making mountains out of molehills can be some of our biggest battles as teachers in behavior focused special education settings. Situations as small as a student getting the wrong pencil can start an enormous battle when we are working alongside children with limited coping and problem solving skills. 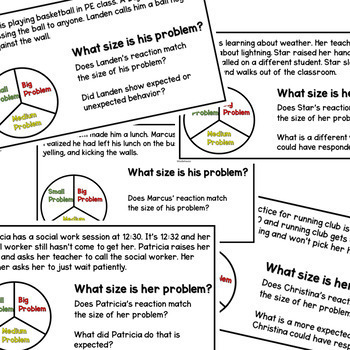 Teaching students to determine and accept the size of the situations they face is a crucial step in the process of problem solving on a daily (hourly!) basis. Here are 5 steps (and a few tried-and-true support products!) to help you figure out how to best tackle this essential skill! 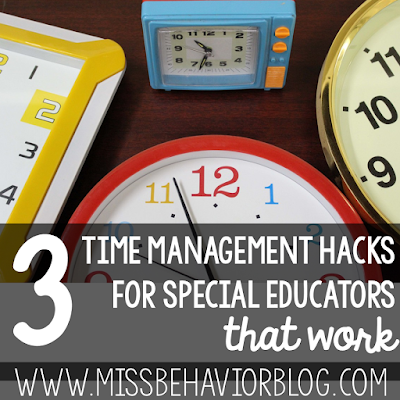 Students need ample time to practice this skill in non-crisis situations. As we know, teaching skills during the apex of crisis is essentially a lost cause, and these skills should be focused on when students are at their baseline. I love scenario based practice using frequently experienced situations as a guide. Having your students problem solve through common situations when they're ready to learn is an important way to build their skills so they can see clearer when they face those uncomfortable situations in the future. I created a set of 100 scenarios that I used every day during our morning meeting time. I projected these and together, as a group, we talked them out. This allowed students to role-play, problem solve, and think through situations that they faced all of the time! I wrote these scenarios with my students in our therapeutic behavior setting in mind. You can grab them here!